This entry was posted on October 11, 2015 at 3:58 pm and is filed under Aki Ollikainen, Man Booker International Prize 2016, Peirene Press. You can follow any responses to this entry through the RSS 2.0 feed. You can leave a response, or trackback from your own site. I really enjoyed this one. The descriptive setting in the cold were well-done. Yes, you can almost feel the cold as you are reading – as much of an enemy as hunger. Excellent review, Grant – I like the way you’ve highlighted the depiction of the family in the prologue. I read this novella last month and it’s my favourite Peirene in quite a while. A short book packed with meaning – as you say, it’s all too relevant even today. Thanks – perhaps this will be this year’s stand out Peirene title (I haven’t read them all yet so I can’t say). I thought it was very cleverly constructed to contain a lot in a small space. I initially approached it as a simple historical novel recreating a time of suffering in Finnish history and was surprised to discover how relevant it was. I’ve not seen a negative review of this. It seems a real find by Peirene. Elegant and powerful. I’ve read Jacqui’s review and I’d probably like it. The problem is it’s not available in French. (not translated yet). Like while reading Jacqui’s review, I couldn’t help thinking about Hunger by Knut Hamsun. 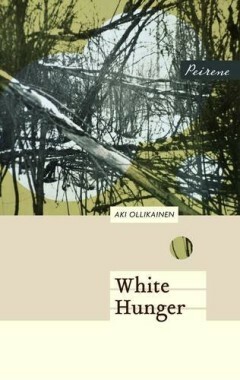 PS: When I read the title, White Hunger evokes “acute hunger” Is it the same for a English native speaker or is it something that comes from my French background? It’s interesting that you mention Hunger – one of a very few other books which deals with such desperate poverty – I almost mentioned it in my review! I’m not sure ‘white hunger’ would immediately connect an English speaker with starvation, but it does have connotations of sickness (pale skin) and death (bone). I’ve seen a stage version of Hunger and it was overwhelming. I was thinking about “white sun”, dazzling to the point of incapacitating you. Not something I would have thought of, though the whiteness of the landscape in this might have the same effect.